As a child I was very fortunate. I had two parents who both wanted me to have at least some financial knowledge and understanding. They helped me in a number of ways, many of which I did not realise until I saw how other people treated money. Below are my seven tips for good financial parenting that I hope will help give the next generation a leg up. Financial Parenting – Why Talk About Money? Money and managing finance is something that everyone has to do. It is one of the few fundamental areas that has the potential to completely change a persons life – for good or bad. Read any relationship blog, talk to any married couples about their problems, find a random psychologist, or just start asking random people you pass on the street about their problems and before long finances will come up. I am well aware money isn’t everything, but having money management skills will have massive benefits when your child is old enough to start having money problems of their own. If you are lucky it may even stop them from having many of the money problems they otherwise may have had. Too much knowledge is rarely a bad thing when it is combined with sound judgement and wisdom. So rather than following the “you do not talk about money” line our Grandparents (and sometimes parents) did, lets have a generation that understands money and benefits from that understanding. Wont Somebody Please Think Of The Children! It is never too young to start teaching children about money. 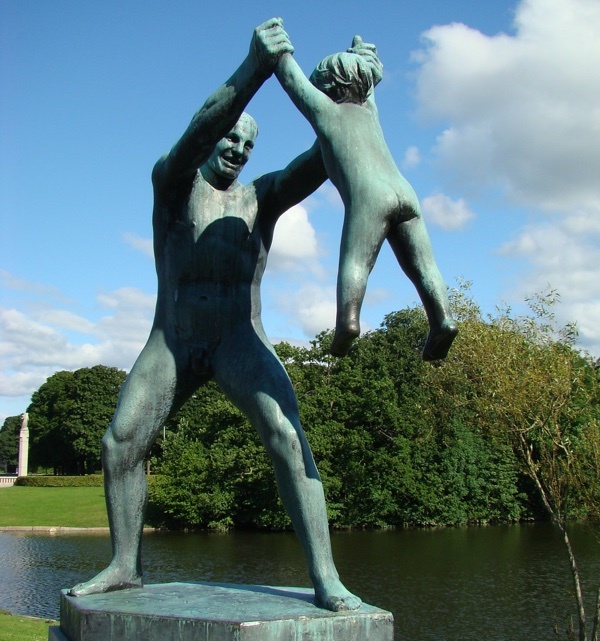 Ok, so if your children are young enough to try and swallow any coins you give them, then yes – they are too young. But other than that, the younger the better. As soon as they are old enough to want things, they are old enough to start learning about money and finances. You can teach an old dog new tricks, but it is just that much harder. The same is true of children and adults. Undoing a bad habit and starting a new one is much harder than keeping an existing good habit going. This is the same reason that so many new years resolutions fail and why bad habits perpetuate. So get your kids when they are young and give them a financial head start on life. When I say “get them when they are young” I don’t mean heap money on them. There is no need to give children large amounts of pocket money. In fact from what I have seen the opposite may be true. 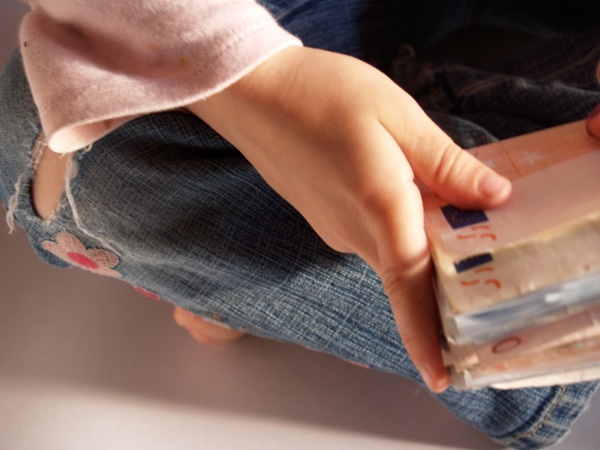 Starting children off with smaller amounts of pocket money will help them appreciate the effort involved in both obtaining larger amounts of money and also understanding the purchasing capability of that money. When I was young, somewhere around 4 or 5 I believe, my parents started giving me pocket money. Each week I got the princely sum of $0.20 (with the current exchange rate that is about 14 cents in the US). It doesn’t seem like much, and it isn’t, but that doesn’t mean it wasn’t beneficial. I used to collect them and make paper tubes to hold them. One tube turned into two which turned into three. Before long… actually it was probably about a year or more, I started school. Along with that came an increase to $0.50 per week. Before this increase, my parents still provided everything I needed. For the things I wanted that they would not buy me, I was out of luck. It was around this time that two things happened. Firstly they helped me open my first bank account and deposit my collection of 20c pieces. Secondly they told me I had a decision to make. I could either continue to save the money, but now earning interest in my bank account, or I could buy things I wanted with the money. Of course I could have done both, but I don’t remember that being an option given to me. This was a key moment. My desire for material possessions was pitted against my enjoyment of watching interest compound month after month. Eventually the interest won, but it did allow me to make my own, all be it guided, decisions before I reached that point. I would encourage all of you to give your own children that same guided opportunity. This financial parenting tip is one I have seen via my partner rather than just myself. I was always given my pocket money with no expectation. For me this was great, after all everyone likes to get something from nothing. However later on down the track when my parents changed the rules I felt like it was unfair. Why did I suddenly have to work for something that used to be free. The work was never much, but when contrasted to my partner who was always expected to work (even if just a little) for pocket money and the results are obvious. My partner has a much better work ethic and more grounded appreciation of money. My tip here is not just to make your children work for their pocket money. It is not even just starting that when you start pocket money. My tip is to make the quantity of pocket money proportional to the quantity of work they have to do. When they are young it may just be bringing their plate to the kitchen. As they grow it could be taking out the garbage or vacuuming. My end goal is to have the children doing an even share of the house work by the time their pocket money has peaked. There is nothing better than instilling a good work ethic in children, it will benefit them the rest of their lives. Financial parenting tip number four is all about education. While I encourage trial and error as a learning method when needed, there is nothing better than learning from those who have gone before you. Think about the evolution of computers. If you ask an IT guy to “build you a good computer” they don’t have to start learning about transistors and logic gates. All they need to do is buy a case, motherboard, CPU, RAM and hard drive with a couple of cables. To me computing is one of the best examples of using what others have learned. You can still learn about it, but you can avoid the decades of research needed to get there. The same can be true of financial management. 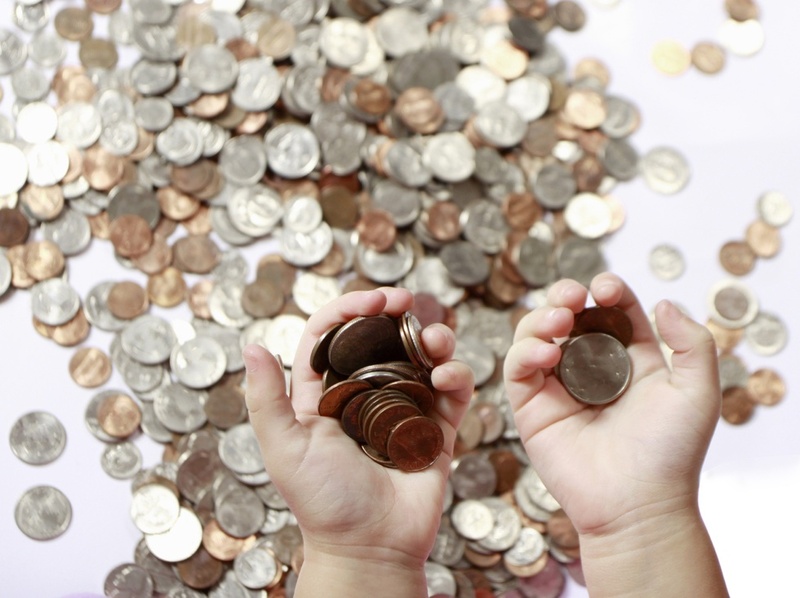 When your child has understood the basics of saving, it is time to teach them about compound interest. Open a bank account for them and show them how to check their balance and deposit money. Once they understand interest, teach them about loans and credit so they know why the bank is giving them money for “nothing”. When their savings reaches an acceptable level bring them into the world of term deposits, where they can increase their interest by having their money locked away for a set period of time. This increased reward comes with increased risk – what if they need that money before the term is up? Finally you can start to bring up topics like stocks, bonds, managed funds, index funds, and the risk vs reward that comes with them. Try not to push them into any of these stages, but make sure they know the stages exist. When they are interested enough (pun intended), make sure you make it fun for them. Show them free online stock games, to let them try with fake money. And when they are ready help them to buy. The one final thing I will highlight again it to remember to highlight the risk involved. And it may be good to either help them with some recommendations, or take them to see a/your financial advisor. Everyone likes a reward, children especially. When I was young and before I had my first bank account opened my parents would give me an extra $0.20 every time I accumulated ten. This was wonderful and at that young age really encouraged me to save. This sort of goal and reward can help both encourage good financial behaviour, but it also gives children a goal to work towards. I am not sure exactly what it was about this reward, but even today I think back to getting that extra $0.20 every ten weeks when people mention gaol setting. The lessons you learn in childhood can last a lifetime. The reward doesn’t have to be financial. You could go and see a movie when a term deposit matures and they finally see the reward from their waiting. You could allow them to skip a chore around the house once every time their interest grows by an extra dollar a month. It is also important to celebrate achievements. There is no point in just accumulating money. There is no point in having a large financial net worth if you are unhappy, have bad relationships with friends, are sick, etc. Saving is good but needs to be balanced with living. While most people lean too far to the living side, you can go too far to the saving side too. Saving is great, a balanced life is essential. I mentioned earlier that the fastest way to learn about finances is to learn from someone who is more advanced than you. I am constantly reading blogs, reviews, articles and listing to podcasts from people who are more financially advanced than I am. That doesn’t mean has more money, it also doesn’t mean better in all areas, it means has insights or understanding in areas that I had not fully considered – you can learn from just about anyone if you are open to it. When you think of a child there are typically two main people who are both trusted by the child and are more financially advanced than the child. Those two people are the child’s parents. Despite this perfect opportunity, many families never discuss money. Mum will teach little Jonny to drive on the farm when he is barely tall enough to see over the wheel. Dad will teach Jessica to cook as soon as she can use a knife. But for some reason most parents won’t sit their children down and show them the “family books”. When children get their first look at what their parents earn it will probably seem like an infinite amount. That is not the aim. The aim is to show income vs expenditure, savings vs spending, relative sizes of different expenses. When a child sees that dad earns $1000 a week, but that $900 goes on mortgage repayments, food, insurance, and other items, it is the perfect opportunity to show them why they can’t get a $20 toy every week. When a child sees mum earning $1000 a week and saving $500 it is a wonderful time to embed the value and importance of saving. When children are allowed to learn from people who understand how money works, it will set them up for life! My final financial parenting tip is not so much about financial skills, as it is to remember that financial skills are only one part of a persons life. It is far more important for your child to feel loved than to understand money. Both would be ideal of course. If you ever find yourself forcing finance down their throat, take a step back. If you find showing them your finances creates too much angst or tension, take a break in that area of their financial education. Make time to play with and care for your child first. Great post here RTW! 🙂 I’m a big fan of wanting to get financial education here in Aussie schools & then potentially the world (big goals / ambitions right ha).. For me it’s amazing we spend a good 10 – 15 years in school (if you go to university) yet we learn very little about the vital practical life-skills like financial management (basic stuff like creating a spending plan, investments etc), communication, relationships and nutrition.. Anyway rant over but my point is I love this article for that reason.. I like the idea of having 3 buckets a spending, savings and givings (as a starter) to teach and give them control over what they want to do with their money.. This then creates accountability and an insight into what it’s like once you get out there after finishing school.. I don’t have kids yet and they’re possibly a while away ha but I wouldn’t want to start too early, possibly 5 or 6 and then I’m sure there natural curiosity will take over..
17 years of education for me (not counting the 3 years of preschool/kindergarten), and while some of it is very valuable it is defiantly missing some basic “real world” skills. I think I learnt most of them from my friends and family (normally older but not always). Yeah agree with this for sure Tom! It’s a big passion of mine to get around to creating greater financial literacy in schools! Very nice article, I enjoyed reading every point, quite good timing considering we’ll have our IVF baby (hopefully!) in the not too distant future. I think a really underestimated point in society is that that habits of young kids become the habits of older kids, which become the habits of the teenager which is who they become as an adult for the rest of their lives. This is true with personality traits, habits, money. If a person starts life with a good money outlook, they won’t have to go through some terrible, debt-laden experience to set them straight. I think having a good work ethic, earning the pocket money, is a great point. Something I wish I would have learned as a young teen (or younger) rather than in my early 20s. It really sets them up as a hard-worker. I like your tip regarding that. Making things fun is really important, I enjoyed a lot of different PC games that had a financial element (not just shooting), which I think is a big reason for who I became today. A lot of usefull tips! Making our kids financially aware is one of our main goals. We want them understand the value of money and the power of investing. Just today we talked to them about money we already spend on something in the zoo. They wanted something else later. We consider giving them a small budget on days out and they have to manage. The oldest one will most likely get an allowance when she gets 6. Sounds like a good plan. Nothing better than letting them choose with some guidance (age appropriate of course). I’m also a big fan of zoos – I love animals and photography and kids enjoy it too. Awesome tips, many of which my parents followed. I am certainly better off for it!